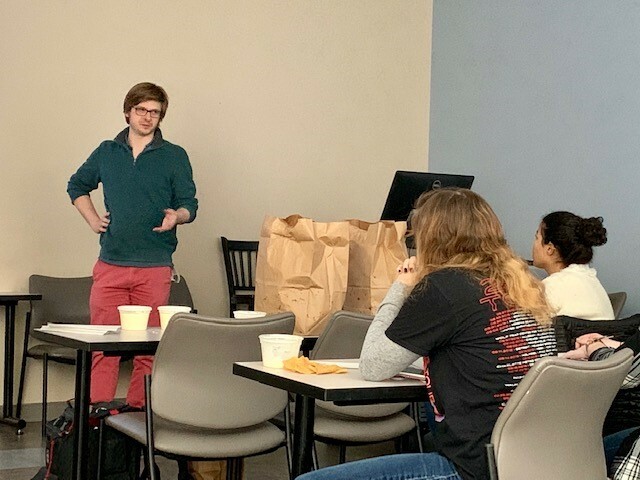 Clark Buckner, a 2013 entrepreneurship alumni and professional podcaster, spoke to a group of students in Professor of Journalism Dr. Sybril Brown’s Entrepreneurial Media course. Buckner introduced his S.T.E.P.S. for success – intentional actions students can take to improve their odds for success. These include Skills, Talents, Experiences, Passions and Spirit, areas that should be developed as students navigate through college and their young professional years. Buckner is the Co-Founder and Chief Creative Officer for Relationary Marketing, a turnkey podcast production agency for B2B content marketing. He also serves as Digital Assets Project Lead for The Nashville Entrepreneur Center.